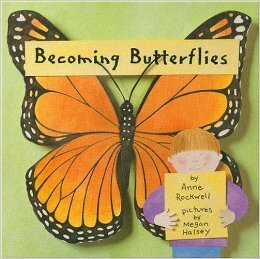 Help your children discover the wonder and magic of the outside world this summer with some choice children’s books. You’ll be satisfying their curiosity and giving them experiences that will be happy summertime memories for years to come. You can explore your own backyard, the beautiful night sky, or your vacation spot on the ocean with field guides written especially for young children. • The “Take Along Guide” collection is a wonderful series of non-fiction books. Learn about seashells, crabs, and sea stars, caterpillars and butterflies, eggs and nests, trees, leaves, and bark, and more! • “Once Upon a Starry Night: a Book of Constellations” by Jacqueline Mitton and illustrated by Christina Balit brings the sky to life with animals and people that emerge in the glowing patterns of stars. • “Pop! 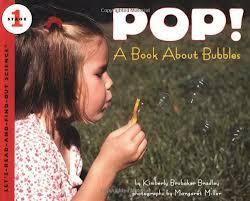 A Book About Bubbles” is one book in the “Let’s-Read-and-Find-Out-Science” series that features photographs of children on each topic. How fun to blow bubbles, send them off into the warm summer sky, and then learn how and why they work! There are also plenty of stories about summertime activities that feature children on adventures picking berries or chasing after butterflies. 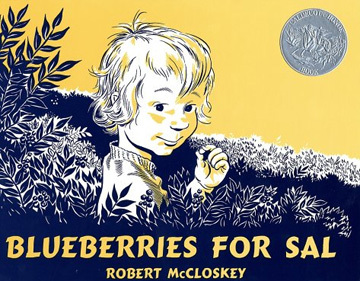 • “Blueberries for Sal” by Robert McClosky is a classic written in 1949 that young children today will still find fascinating. As a mother and daughter set off to pick blueberries so they will have some fruit to can for the winter, a mother bear and her cub set off to find blueberries to eat on the same hillside. As the story unfolds, we see how both mothers and the two children have more in common than just loving blueberries. • “Summer Days and Nights” by Wong Herbert Yee was just published in 2012. This is a delightful story of a little girl enjoying a beautiful summer day from sun-up to bedtime. Told in gently rhyming verse the author describes the delights of daytime and nighttime summer fun, which will give you and your child many ideas for things to do and explore. • “Beach Day” by Karen Roosa, illustrated by Maggie Smith, is a favorite of very young children. 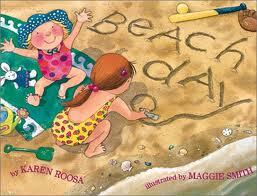 Two-year-olds will love the sandy beach images and the sing-song text. “Waves roar, rush and soar! Rolling, crashing to the shore.” From water-skiers to picnic blankets, this book encompasses an entire joy-filled day at the ocean. After you read a new book together, you will most likely learn some new words that you can put right to use as you enjoy time as a family. Happy summer reading!